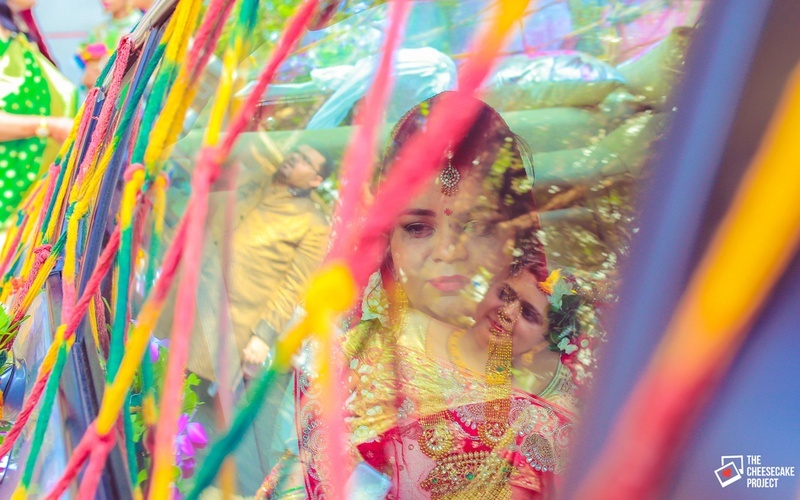 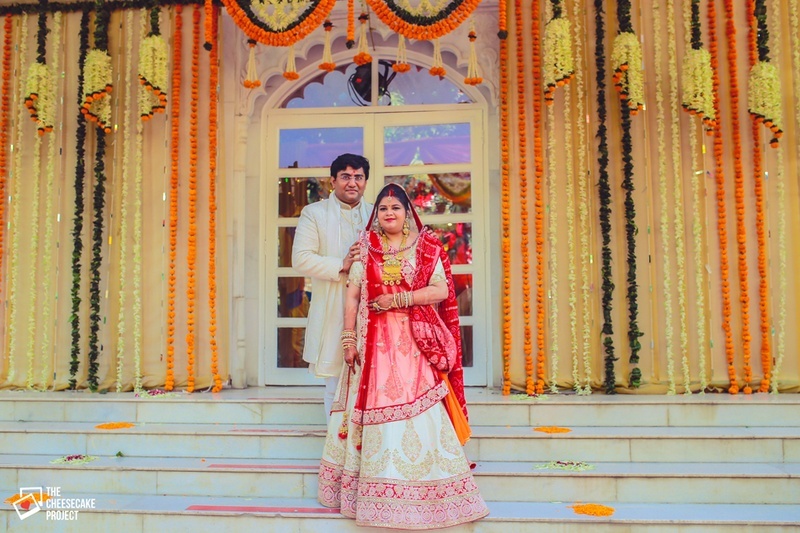 Priya and Tejal opted to have an all-out traditional gujrati wedding at Iskcon temple in Juhu, Mumbai. 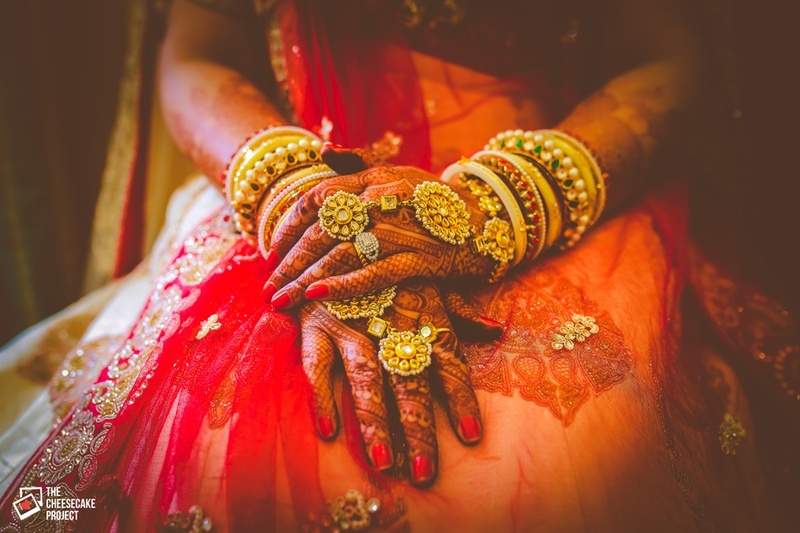 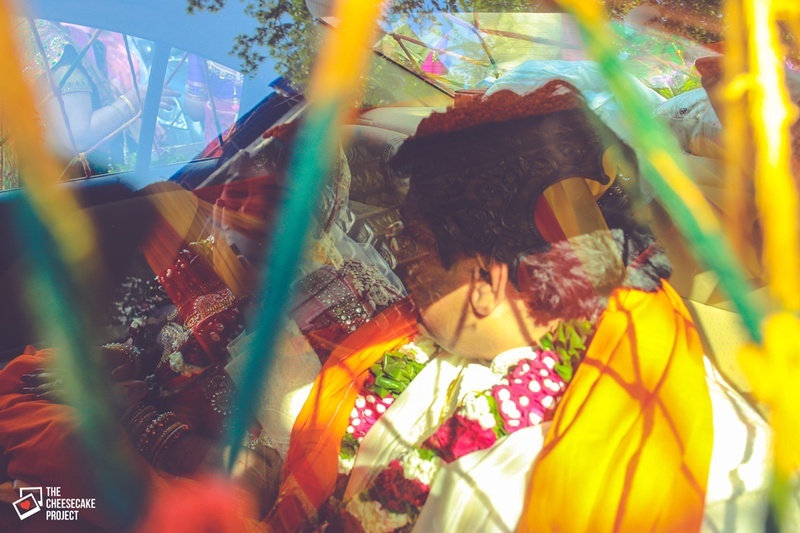 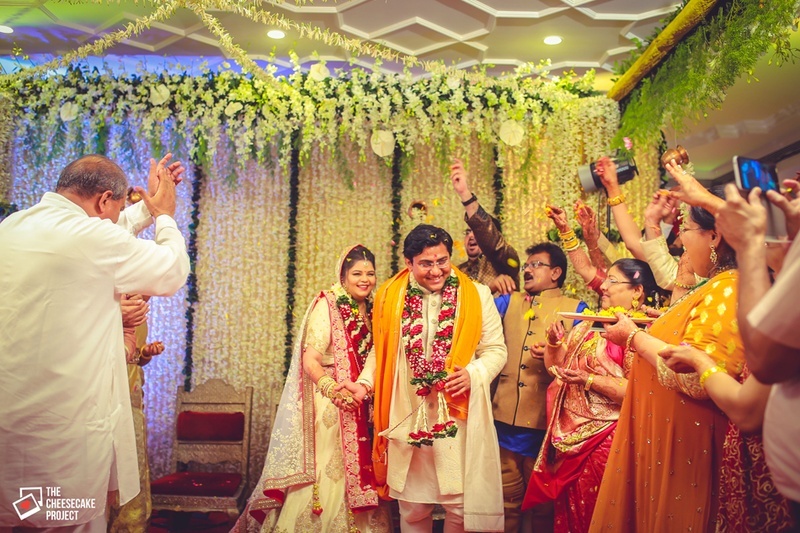 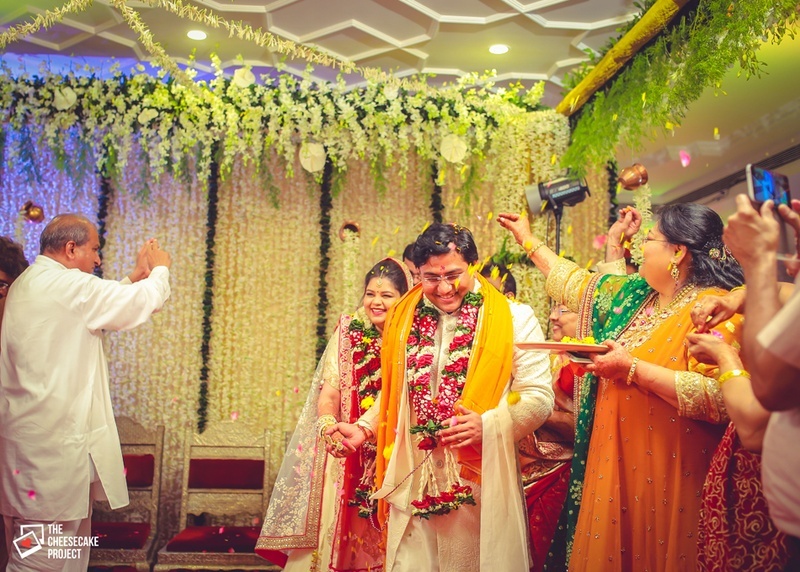 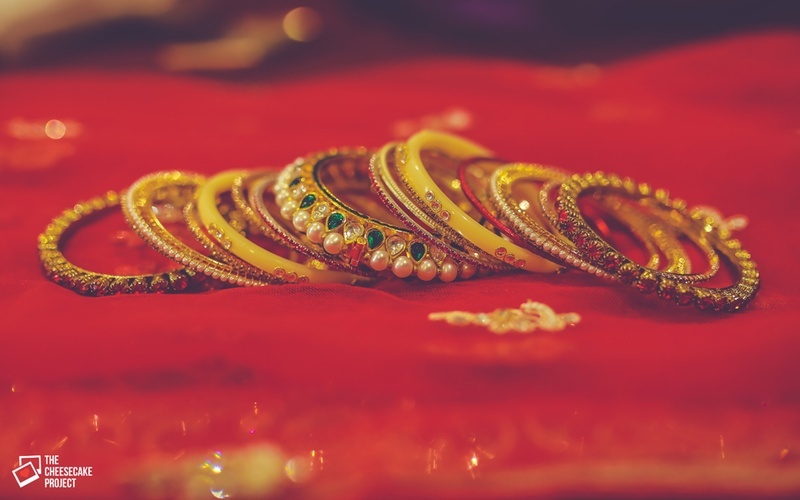 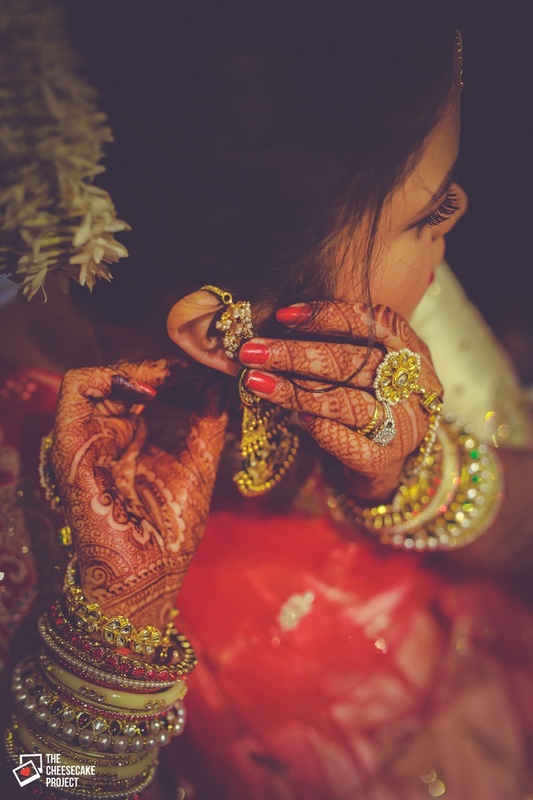 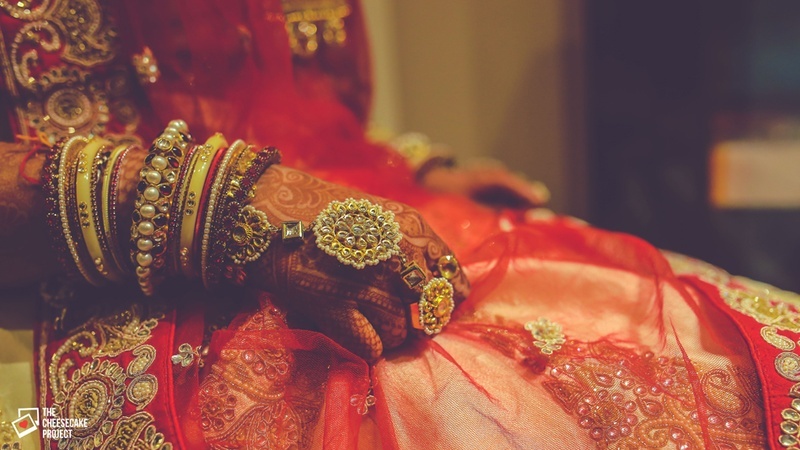 The Indian wedding celebrations were full of age-old rituals, meaningful traditions and a whole lotta love. 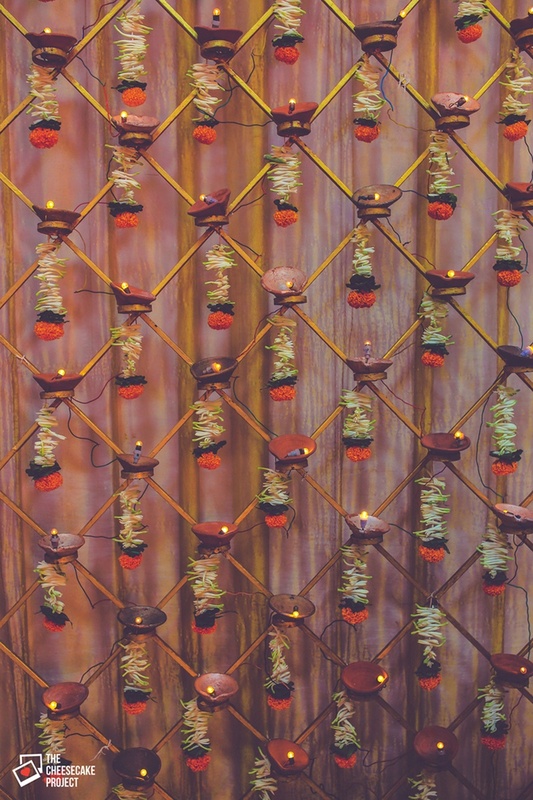 This intimate wedding held at the holy Iskcon Temple, Juhu came with its own touches of personalization. 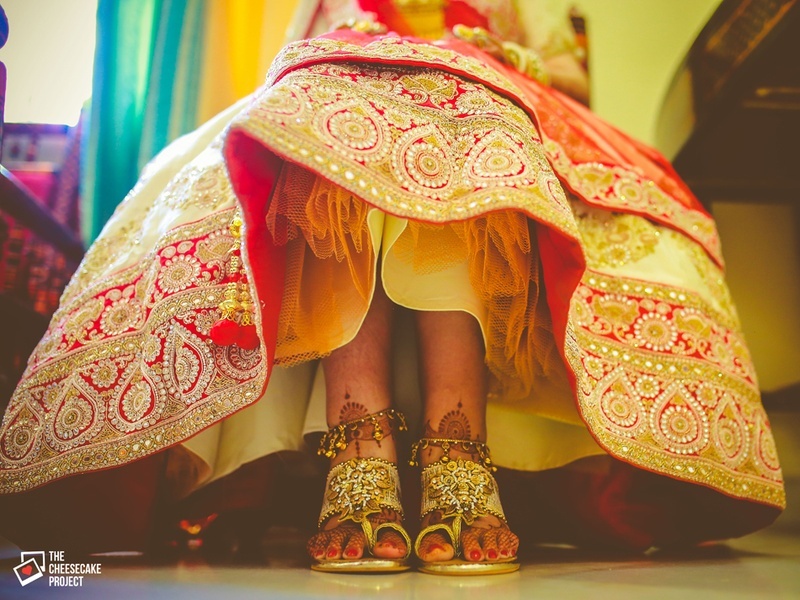 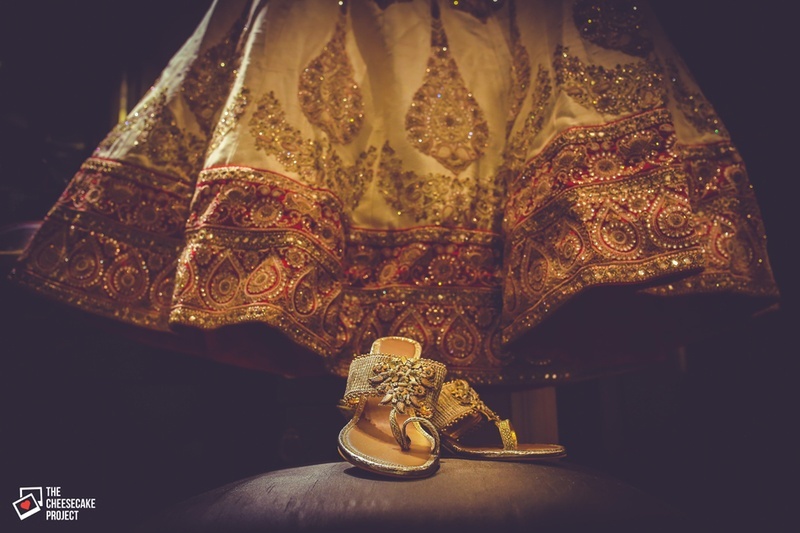 Like, the bride’s stunning golden footwear, custom made for her with love and the little décor details we adored. 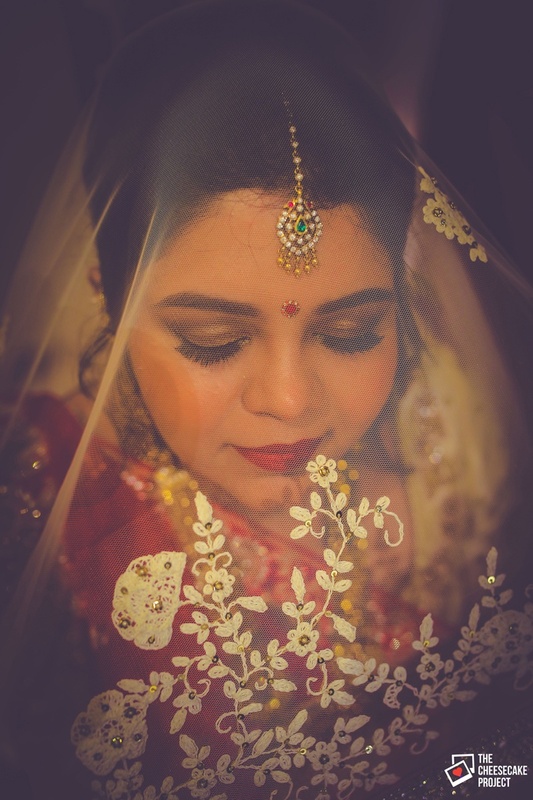 Mumbai based photographer, Stuti, from The Cheesecake Project did justice in capturing this beautiful Iskcon Temple, Juhu wedding in all its simplicity and rawness. 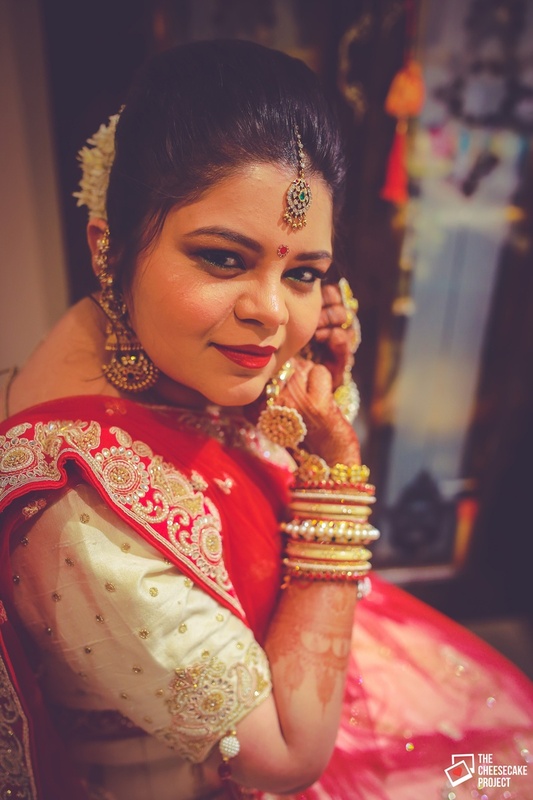 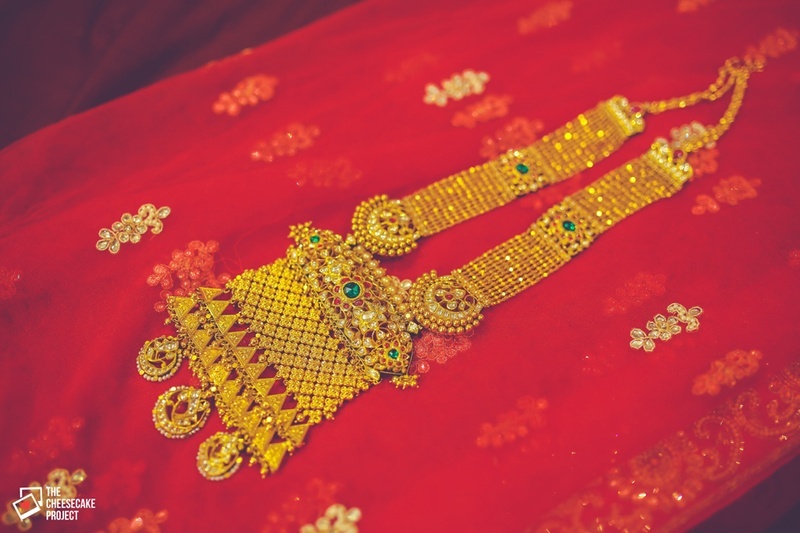 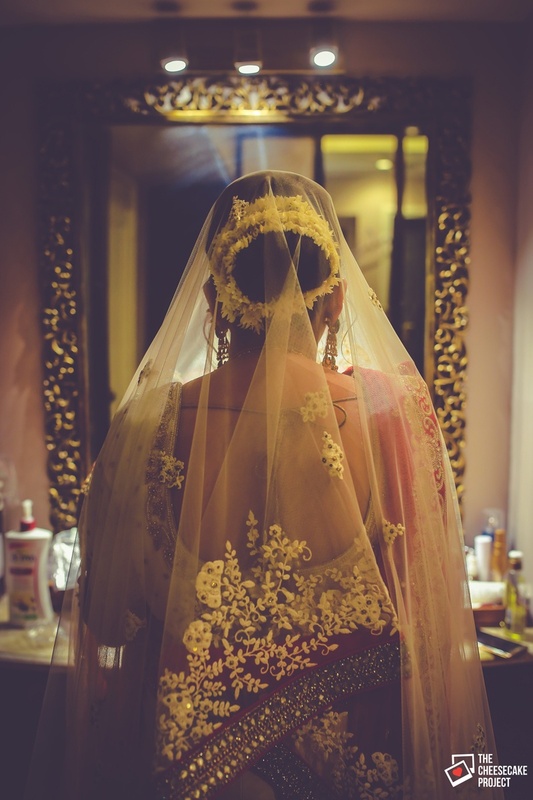 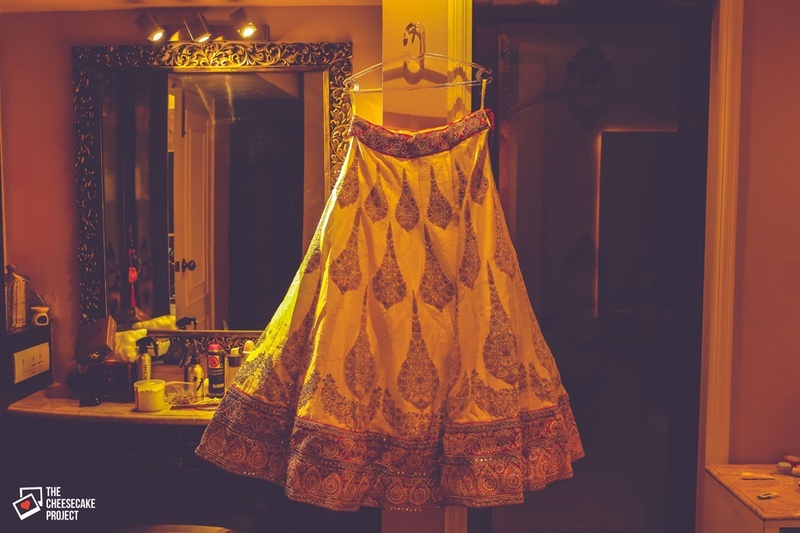 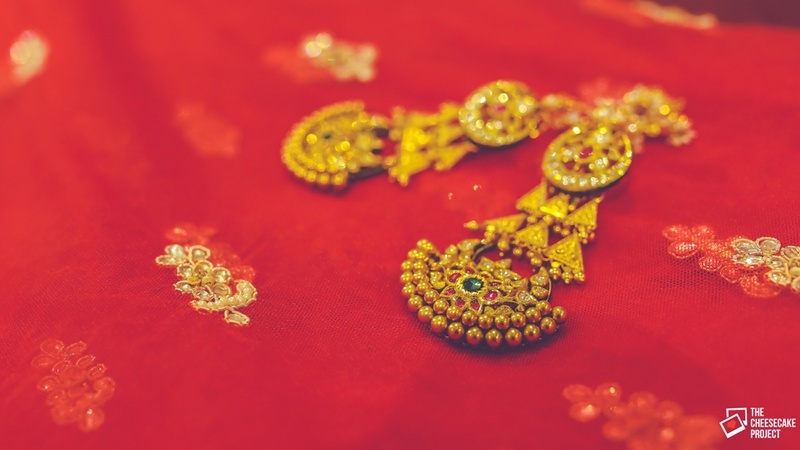 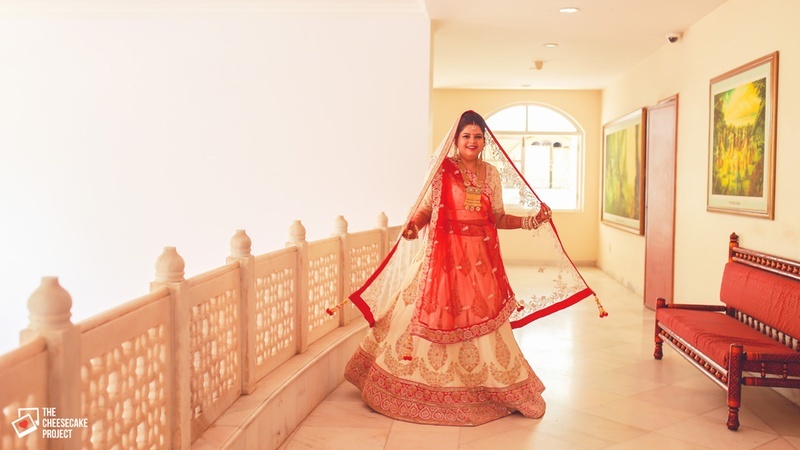 Since Priya and Tejas decided to set the tone of their wedding in a graceful, traditional manner, this beautiful bride’s gold and red lehenga from Roopkala Studio was a perfect pick to go with. 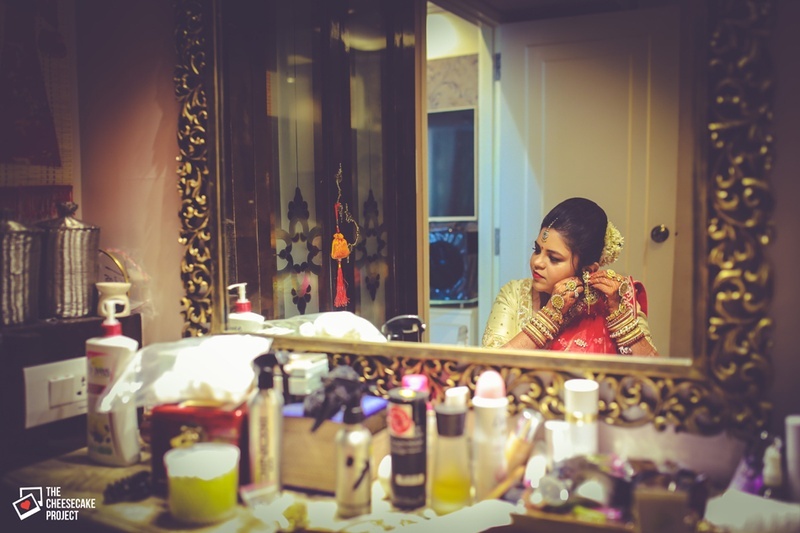 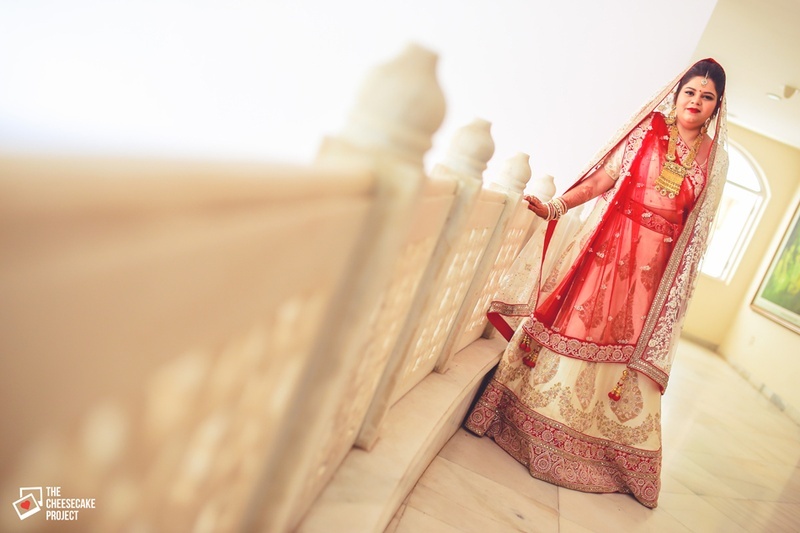 Gold motifs on an off-white base, the sheer red dupatta and bridal makeup done to perfection by Varsha Gidwani. 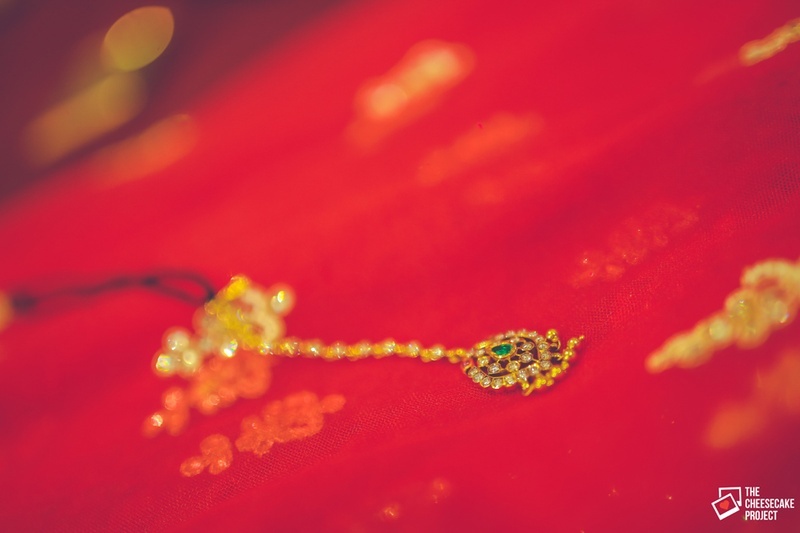 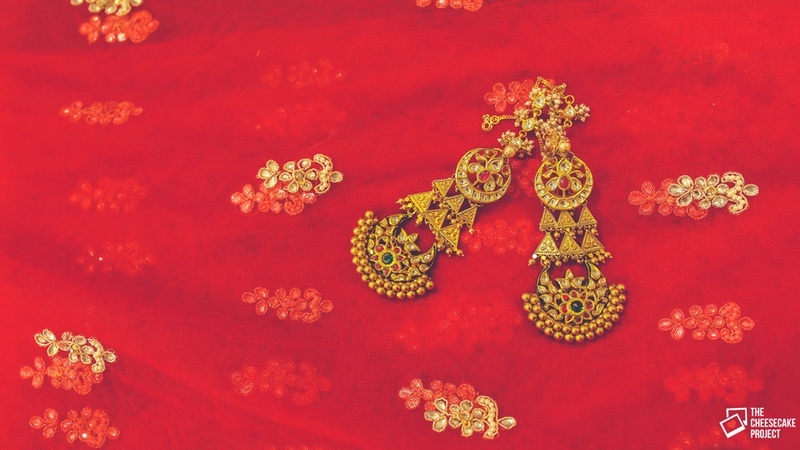 Her bridal jewellery from Sunil Jewellers too was optimally matched to the tone of the wedding and her entire ensemble. 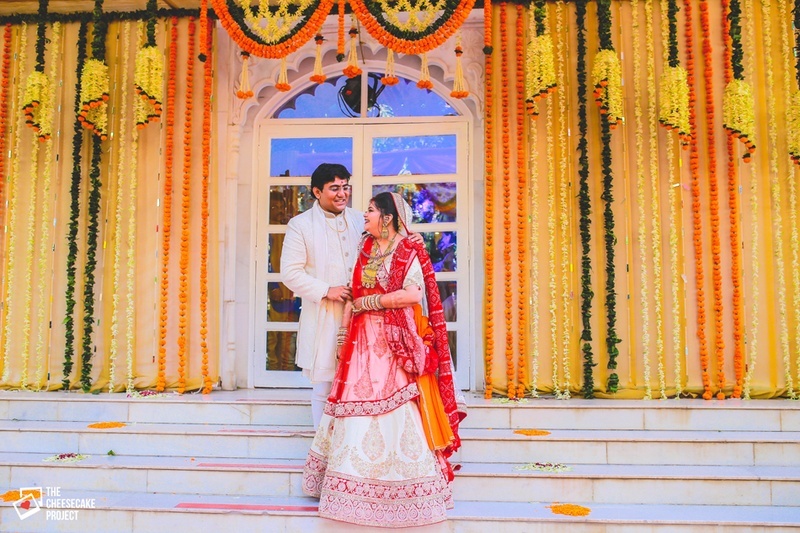 Scroll down right here to see pictures from their special day!